We've been wanting to try Nepalese food for quite some time. Intrigued at the Nepali take on a curry and how the food might differ from what we usually expect from a local curry house. 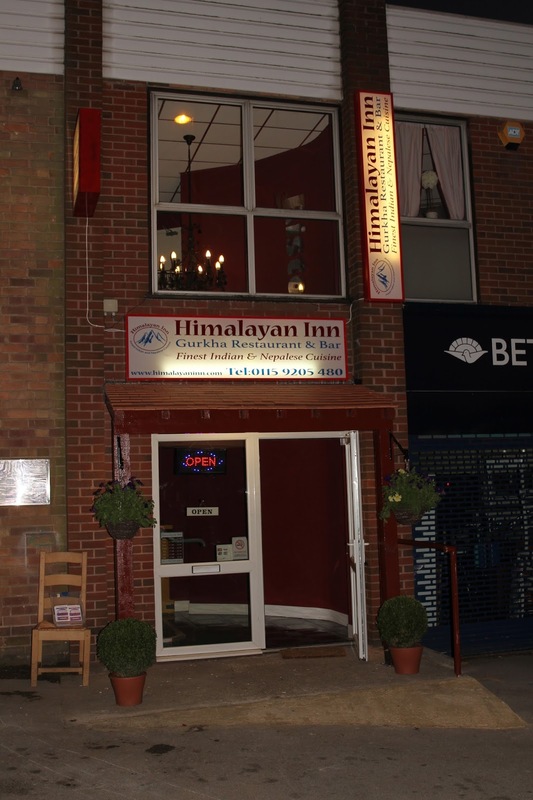 We're on the quest to find Nottingham's best curry so when the Himalayan Inn opened a couple of weeks ago we knew we had to head in to try. The property itself has been a number of restaurants over the years. It was previously Piccolo's although every so often a new restaurant popped up to be replaced some time later. In honesty this used to be a less popular end of Arnold when it comes to eating and drinking but with the emergence of the Robin Hood and Little John across the road more late night drinkers will head their way with an appetite. On entering we were greeted with a friendly handshake from the staff. We'd bought the camera and they were more than happy for us to take photos within the restaurant, As the Nottingham Food Lovers blog has slowly expanded we still are apprehensive asking people if they're happy for us to take photos- usually we just stick to the food but in reality we do need to start adding more as popularity increases. One of the things we love to try when we're at a restaurant is the beer. Local beers for where we're eating is always a priority so we started with a Gurkha Beer. Very light and very easy to drink this makes an excellent beer for a curry. As with any curry it's always good to start off with some poppadoms. We requested a couple each however when they came out to our table there were just two on the plate- Not quite what we had ordered but not the end of the world. The pickle tray came out with three choices. A very light mint dip, mango and a pickled onion. Lacking anything notable to make you order a big selection of poppadoms in future we were hoping for something with a little bit of bite and spice but this was lacking from the pickle tray. Intrigued at what Nepalese cuisine offers the Rara Meat (£9.95) looked a unique choice that I've never seen before. Described best as Lamb cooked in a spiced mince meat it really offered the carnivore in me some satisfaction especially needing the protein after a hard early morning gym session. Alongside it I opted for the nicely spiced Aloo Palumbo which had lovely delicate flavours although was served luke-warm and I've have likely it to be a little warmer. Sometimes you don't fancy rice and today was one of those days but I was happy for the potatoes in the Aloo Palumbo. Mark opted for the Himalayan Combo (£12.95). Advertised as a "sizzler platter" it came out on a standard plate with no sizzle at all. With a good selection off the menu of Duck Sekuwa, Salmon Tikka, Shish Kebab, Prawns and Tandoori Chicken this was another plate to really delight a meat lover. 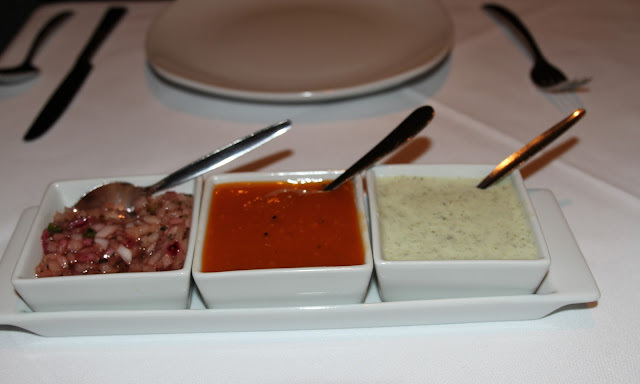 The Salmon Tikka was a very nice touch that you rarely see on a menu and it's lovely to see some duck on the menu too. chicken. As a former chef it's not something that phases him on the plate but having had a few too many dubiously cooked meals on a home barbecue over the years I know a lot of people that would be shouting and screaming when seeing poorly cooked chicken. At the end of the meal we highlighted the chicken to our server. Judging by his suit and demeanour the Himalayan Inn is highly likely his restaurant and he subsequently apologised and went straight to see the chef looking a little disgruntled. He never returned to our table and we have to admit we thought there may have been some gesture offered out of goodwill for a poor example of cooking. This never came and we left after resolving the bill a little frustrated. Having cycled past the Himalayan Inn whilst passing regularly through Arnold waiting for it to open maybe I had expected more from the menu. Whilst easy enough to read there was no scale on the items to showcase their strength so you could easily be left wanting for a little more kick from your meal. 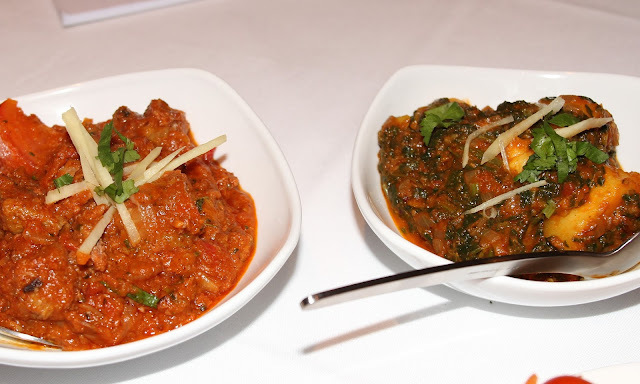 We'd hoped that we could add a showcase to a new business local to where we call home and whilst I had a very nice curry it's pretty hard to justify a return when you're getting served meat that isn't cooked properly. We've already been asked by friends and family how the meal was and having told them straight they've all decided not to book a table. Maybe in a few months time we might be willing to take another chance but for now we'll be steering clear of the Himalayan Inn, Arnold.